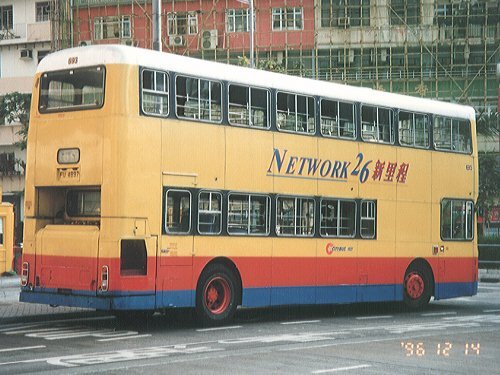 Citybus was awarded the franchise to operate 26 routes previously operated by China Motor Bus in September 1993. Such an expansion of the company's network needed additional 200 buses, and Citybus noticed that it was not possible to acquire such a larger number of new buses from manufacturer in the given period of time. 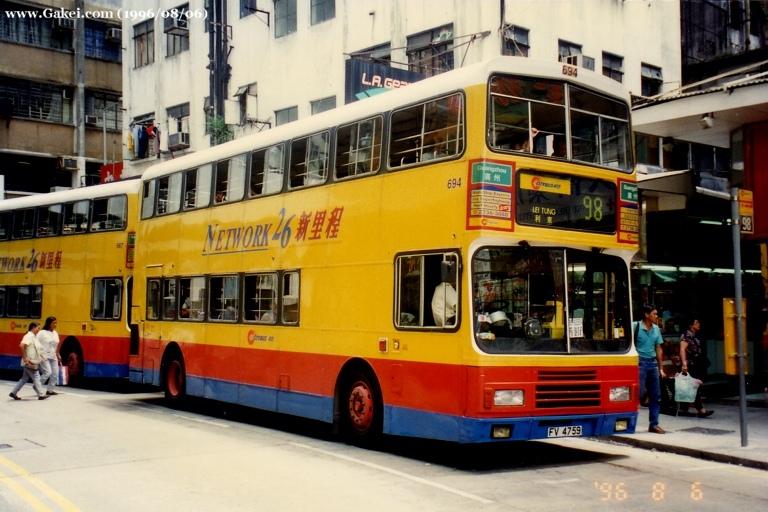 Therefore finally the company decided to introduce 100 second-handed Leyland Atlanteans AN68s from Singapore Bus Services, and the rest 100 buses were purchased new from Volvo (Leyland). 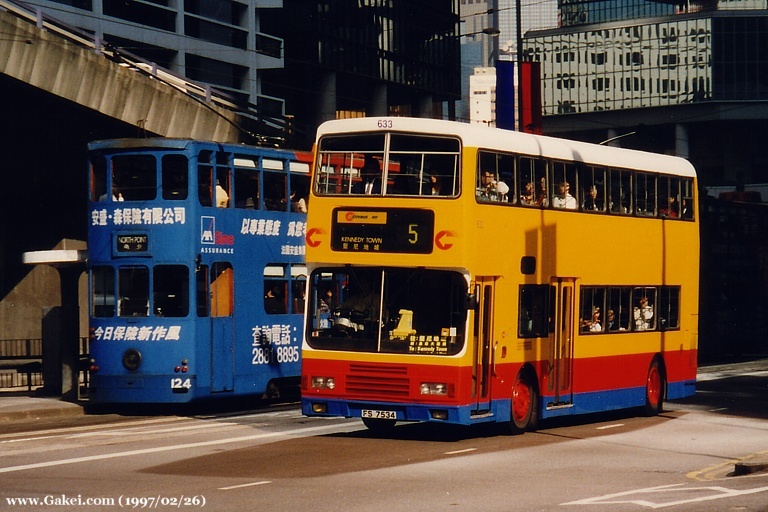 In order to unify the corporation's image, and also components can be shared with other types of buses in the fleet, Citybus converted the front of the Atlanteans into R-type style. When the buses joint the fleet, they received the 600-series fleet numbers. However, they were finally given a prefix, "A", while the 600-series numbers were subsequently allocated to the new-coming 12-metre Volvo Olympians. 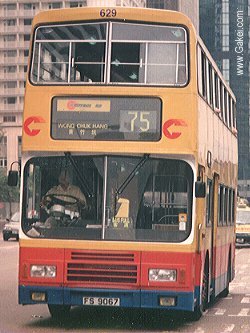 Citybus once had promised that all Leyland Atlanteans would be withdrawn from fleet in 1997, but some of them are still in service in 1998. 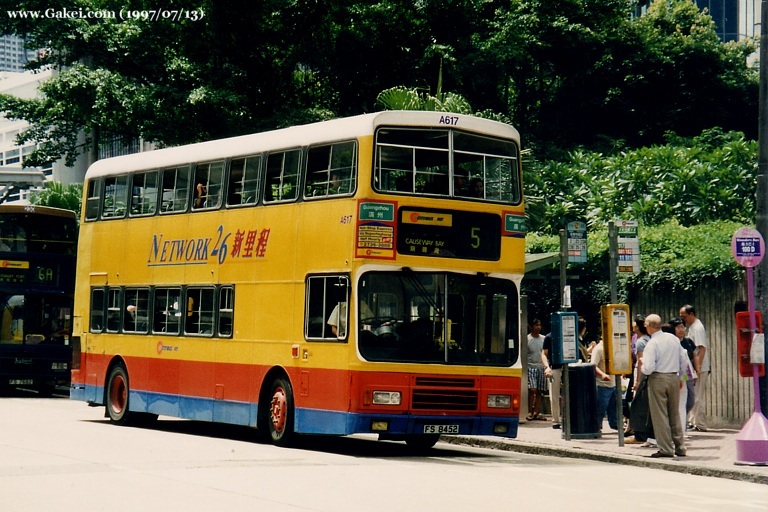 All Atlanteans were finally replaced by new air-conditioned buses in early 1998, and Citybus became a fully air-conditioned bus company in Hong Kong.